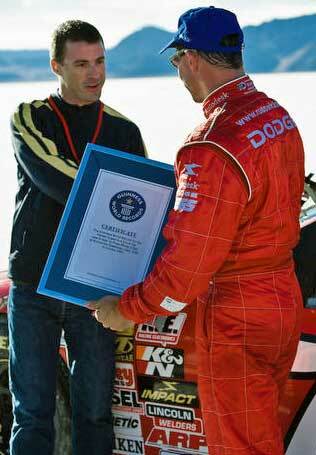 The Speedking, aka Russ Wicks is the only living person to hold world speed records over 200 MPH on land and water. 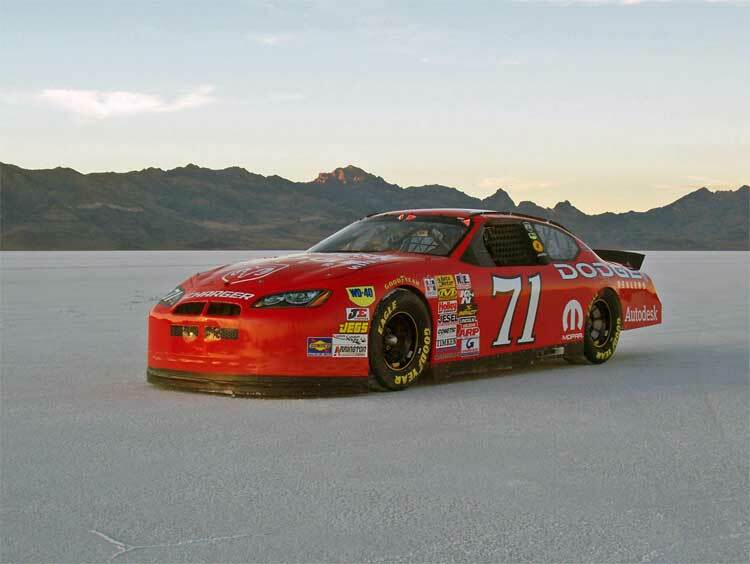 In 2007, at the Bonneville Salt Flats, Wicks went 244.9 mph in a NASCAR-spec Dodge Charger for the new World Stock Car Speed Record. The Charger was built to NASCAR Super Speedway specifications to compete in the Talladega high-speed oval. 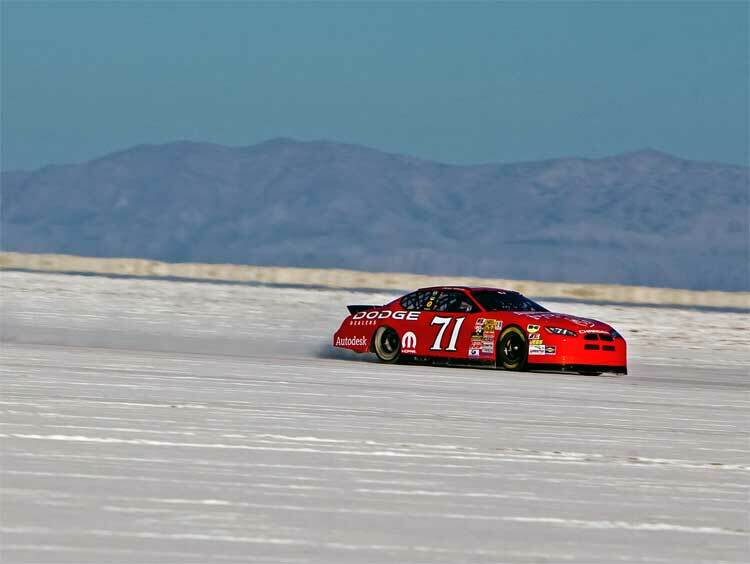 Normally this type of car approaches the 190 mph mark in competition, it was trimmed to maximize straight-line speed. “We took the drive train and suspensions off the vehicle to make it more symmetrical,” said Wicks. 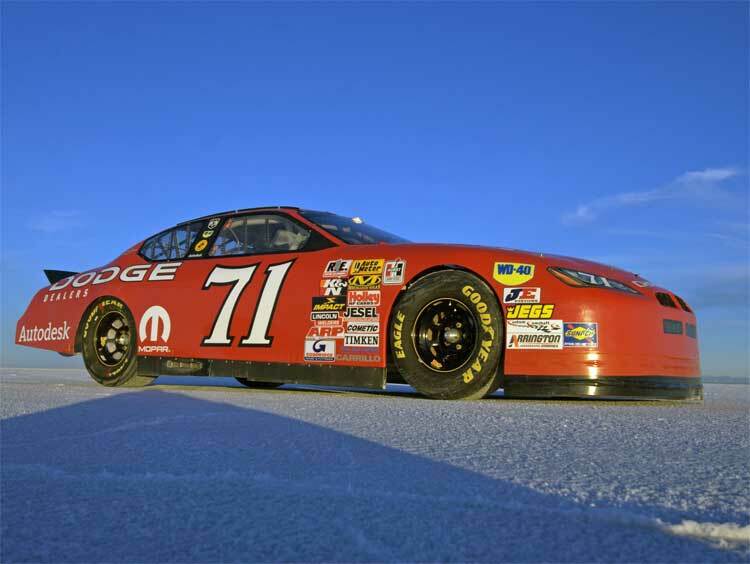 “We also tested the vehicle in the Chrysler wind tunnel at Michigan.” The vehicle at the Salts was painted to resemble NASCAR Champion Bobby Isaac’s Grand National Dodge Charger Daytona. 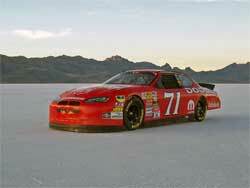 Issac established the original record “flying mile” Stock Car speed record of 216.949 mph in 1971. Wicks also broke the 220- plus mph in Indy Car, NASCAR, NHRA dragster and Unlimited Hydroplane. 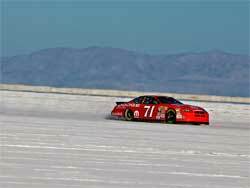 His record braking resume includes the WSR for prop-boats at 205 mph and the WSR for fastest stock car at 244 mph. With more than 25 years of racing experience, Wicks became a fully sponsored professional by the time he was 15-years-old. He began racing Motocross at 10-years-old and has plans to shatter more World Records in 2008. Also check out the Speed Record Holder Russ Wicks video. 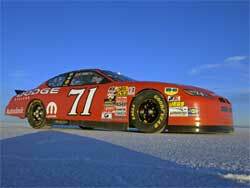 Follow the Speedking's progress throughout the racing season at the K&N news site. Find K&N products for your vehicle using the K&N application search then use the K&N dealer search to find a K&N dealer in your part of the world.